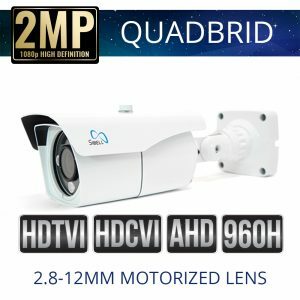 2 Mega-pixel HDOC Security cameras or 1080p HD Over Coaxial Cable Security Cameras, these cameras are all 1080p resolution and work over Coaxial cable. 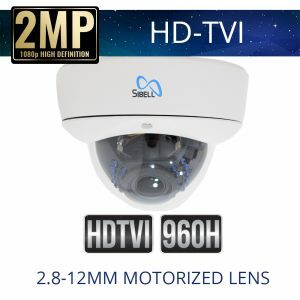 Sibell Carries 1080p Quadbrid (HD-TVI, HD-CVI, AHD, Analog) Security cameras and 2 Mega-pixel HD-TVI Security Cameras. 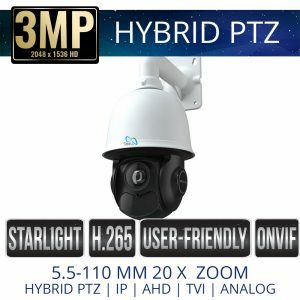 Choose from Bullet, Dome, Vandal Dome, PTZ Speed Domes, Fixed and Motorized Zoom Lens Options and in high definition 1080p 2 Mega-pixel resolutions.